These ABC books are stand outs, each with a special take on the alphabet in some significant way. Eight in all, here goes! Daytime Visions by ISOL (2016). 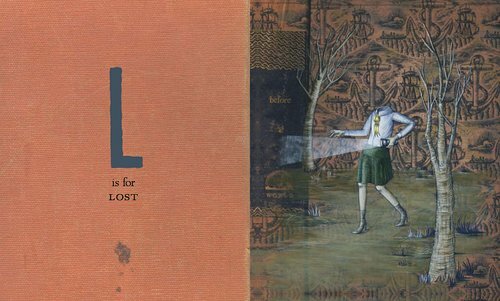 ISOL brings the intuitiveness of children and the inventiveness of a true artist to this project, making the magic she always makes in my book. Favorite letter: J. “I was just looking for you.” (But it’s hard to choose!). 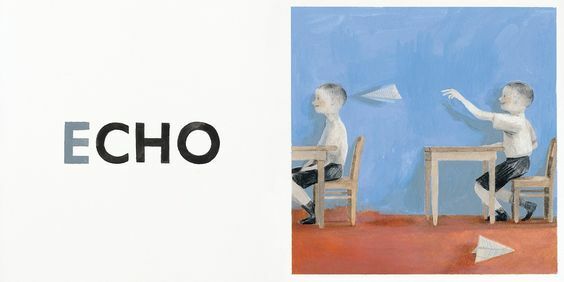 An Alpha, Bravo Charlie ABC that explores the NATO alphabet and is mind-blowing in every way. 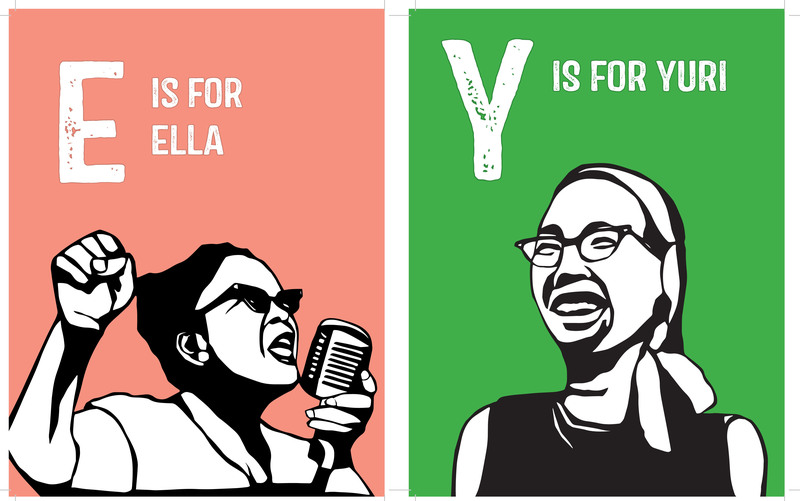 Rad American Women A-Z by Kate Schatz, illustrated by Miriam Klein Stahl (2015). Radical ladies indeed, all the way from Angela Davis to Zora Neale Hurston. This one will teach and inspire the older set. 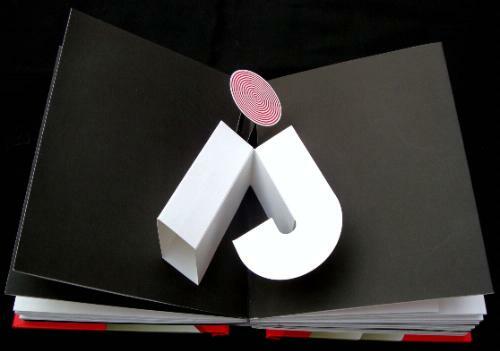 ABC3D by Marion Bataille (2009). 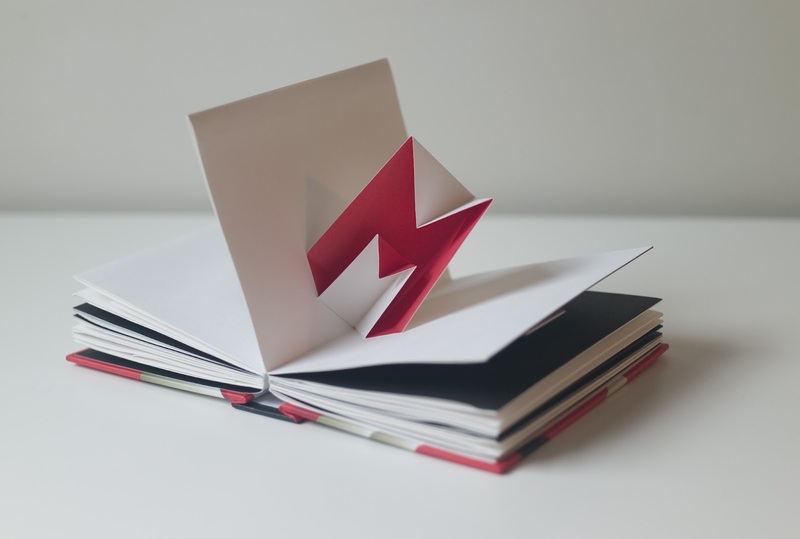 A pop-up ABC for the design or paper engineering crowd. Favorite letters: I and J because of how they cleverly share a dot. 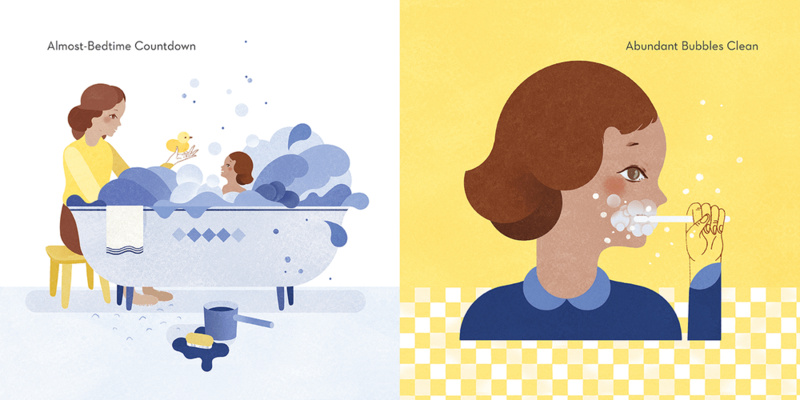 An ode to childhood carefree moments, the artwork in Pearle’s ABC enchants. 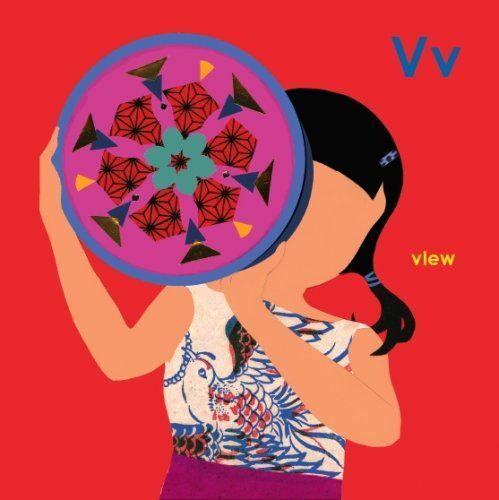 Favorite letter : V for view because of that kaleidoscope! Eerie Dearies by Rebecca Chaperon (2014). 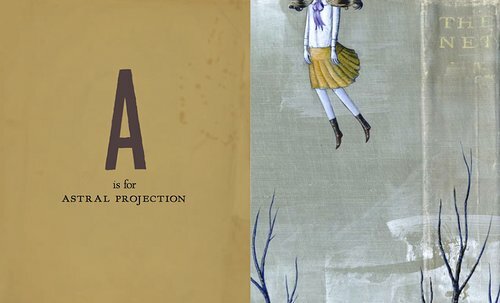 An alphabet book of mysterious, strange, and sometimes mystical reasons for missing school. 26 of them. 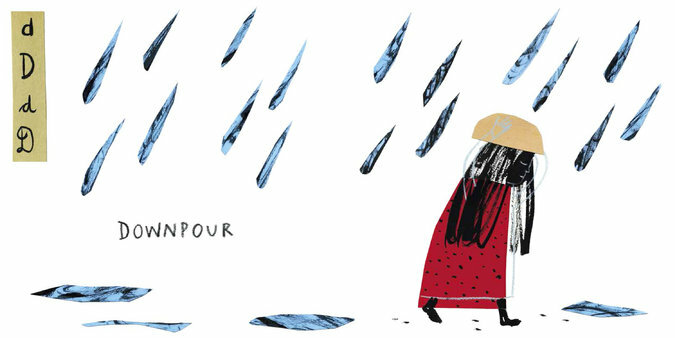 Favorite letters: E for ennui and W for waterlogged. 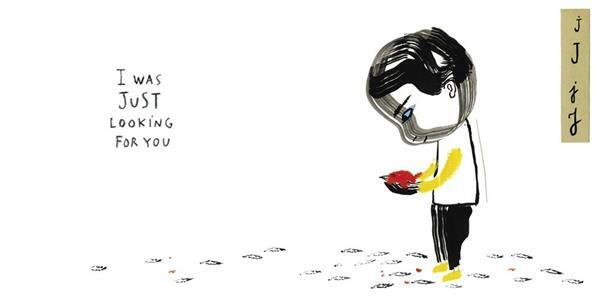 Awake Beautiful Child by Amy Krouse Rosenthal, illustrated by Gracia Lam (2015). 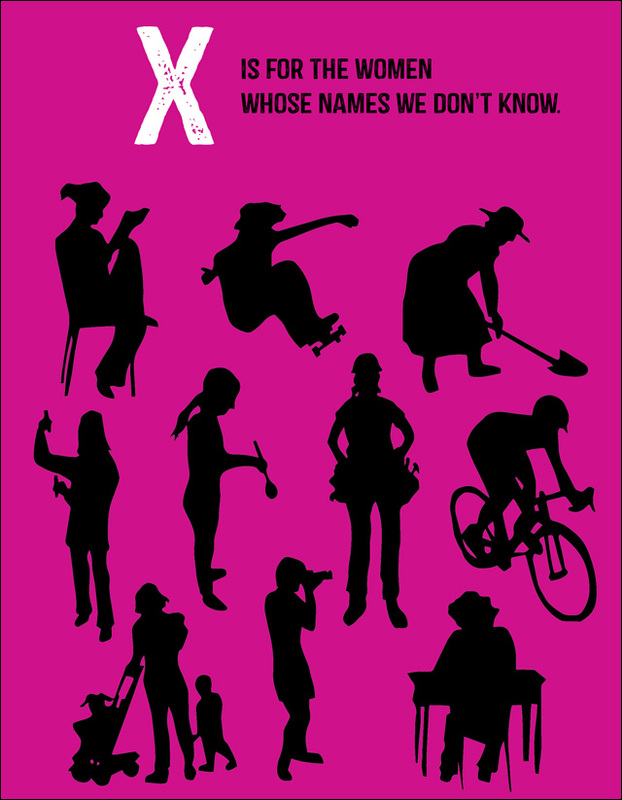 A wordplay take on ABC, true to AKR’s trademark. 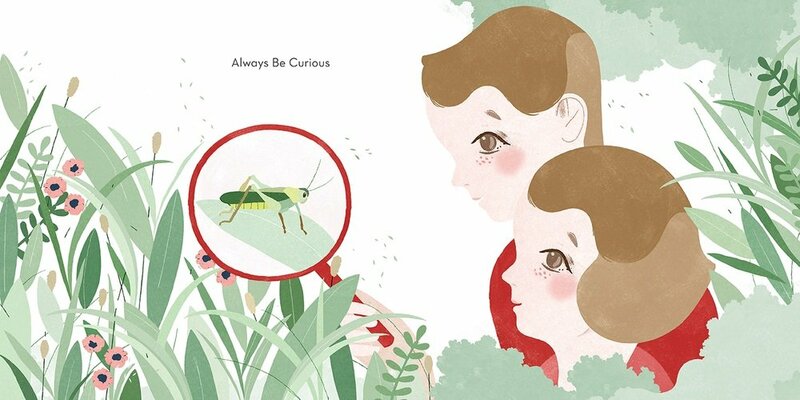 A series of A-B-C phrases follows two children’s days with dreamy pastel retro artwork. Adventures with Barefoot Critters by Teagan White (2014). A seasonal celebration of being outdoors (or adventuring indoors) all year long and being with friends. 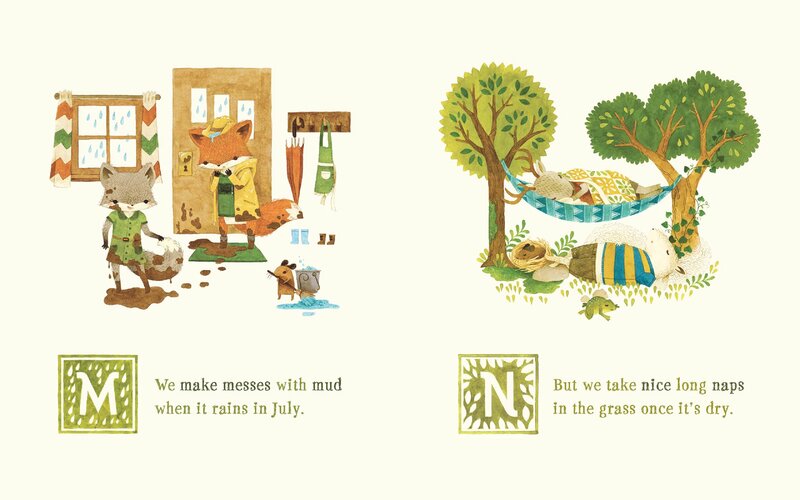 Plus, the most darling critters to ever grace a picture book. 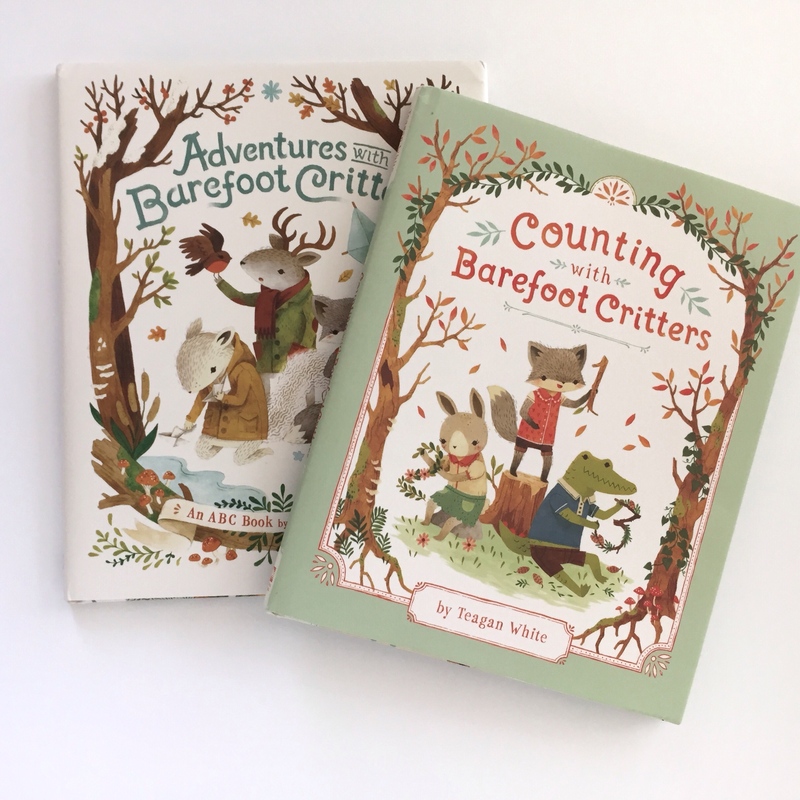 And, thanks to Penguin Random House Canada, I’m giving away the Barefoot Critters ABC and counting book pair by Teagan White, pictured below! One is wintry, the other summery. One alphabet, one numbers. All with adorable critters—a perfect set! Leave a comment on this post to be entered to win Adventures with Barefoot Critters & Counting with Barefoot Critters! They look so great! Thanks for the opportunity! Both of these books would be perfect for my kinder-bears. 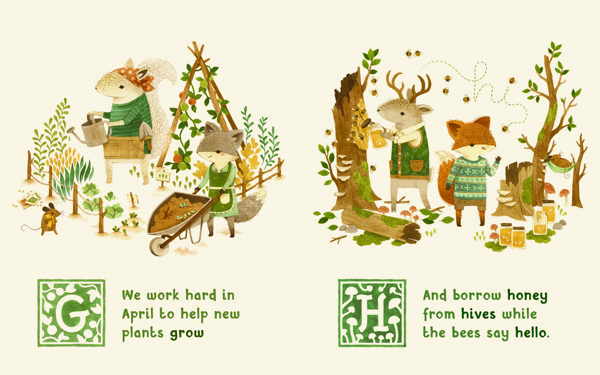 They’ll work in beautifully, both with our study of forest friends, and with our seasons unit. Thanks for the chance. 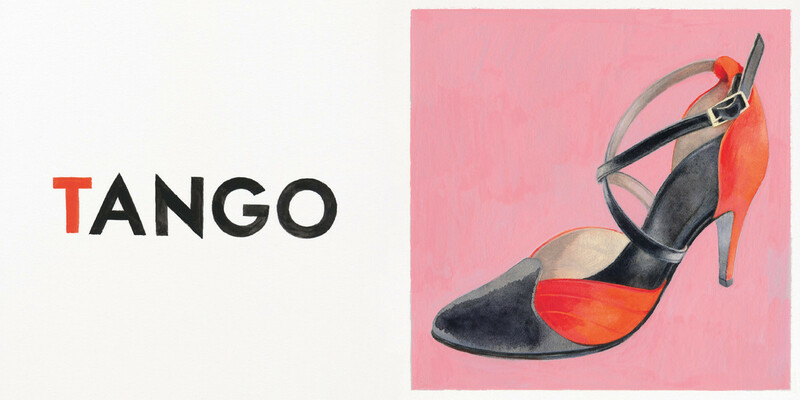 This is a great collection of ABC picture books! You had a bunch on here I had never heard of. Love them! Adorable! My son would love to learn with these sweet critters. Thanks for the chance! Eye catching, witting and wonderful! How cool is EERIE DEARIES?? I love that aesthetic!! These are awesome! I can’t choose a favorite! Amazing! I never new about Tegan’s books and would love a chance to win! So glad you featured Rad American women. It’s a favorite at our house. Also, that graphic pop-up looks fascinating! These are just beautiful! Love the art! Those Barefoot Critters are too adorable! These are so wonderful – totally unique and something incredible to give as a baby shower gift. Thanks for the new ideas ! Oh I love these! Especially love critters and rad American women. All of these books look amazing! Thanks for giving us the opportunity to win! They look so fun and I love the variety of styles. Lots of new to me titles! Would love to win. Love the illustration style! And that palette! Another favorite–Z is for Moose–so funny & sweet :). What a lovely collection of ABC books! 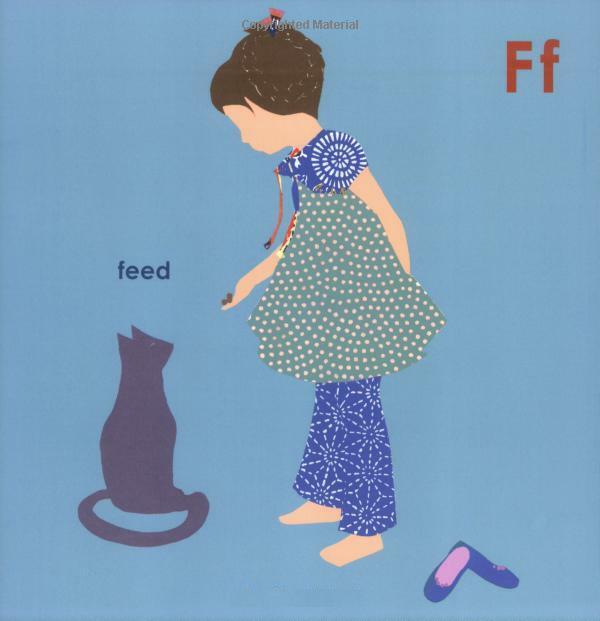 Love, love, love those illustrations and the sweet alphabet vignettes! Wow! Amazing new to me, most of these books and they are all Wow. My son would love these books! We are currently working on counting so this would be great! Wow! This books really got me thinking about ABC books in many new ways! Thank you! We have a winner! Congratulations, Kary!